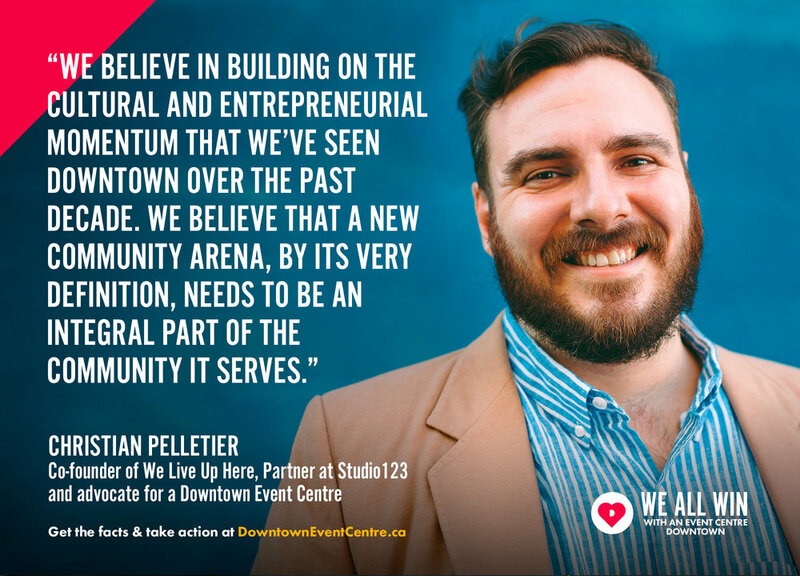 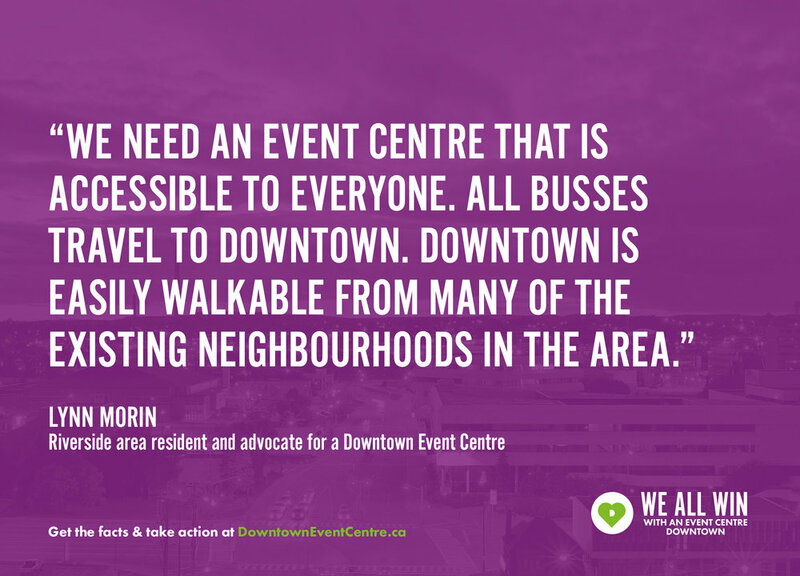 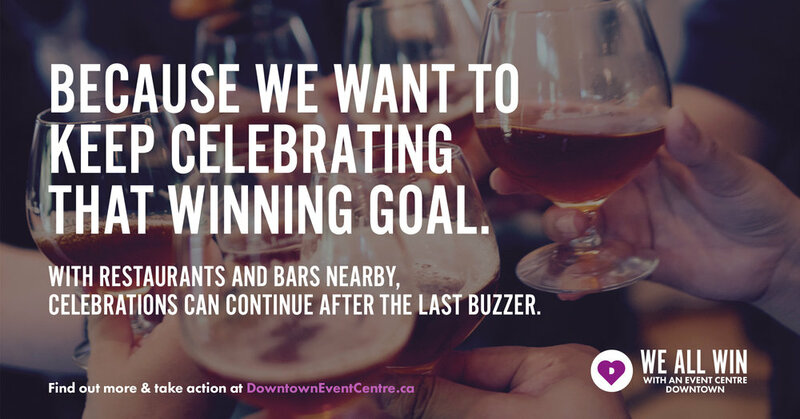 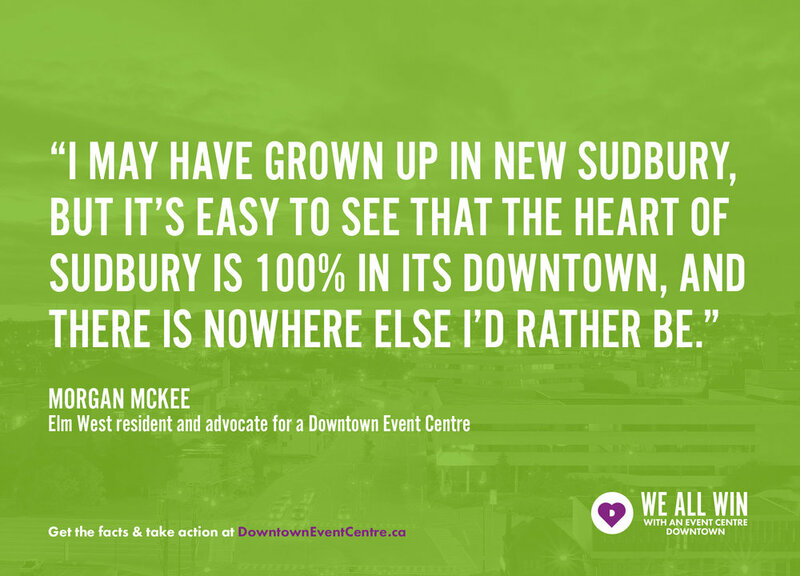 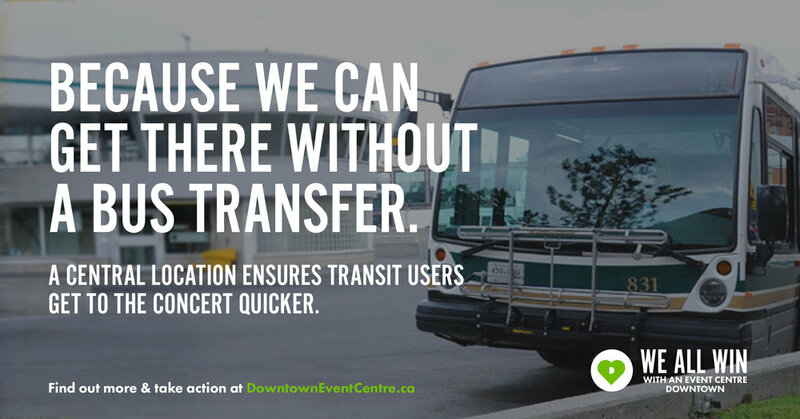 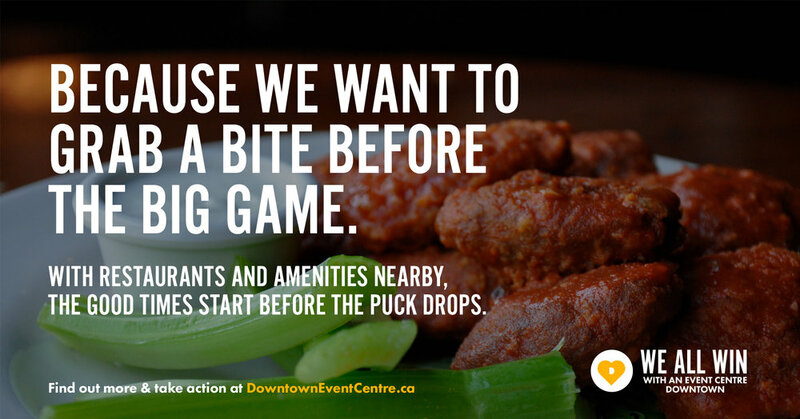 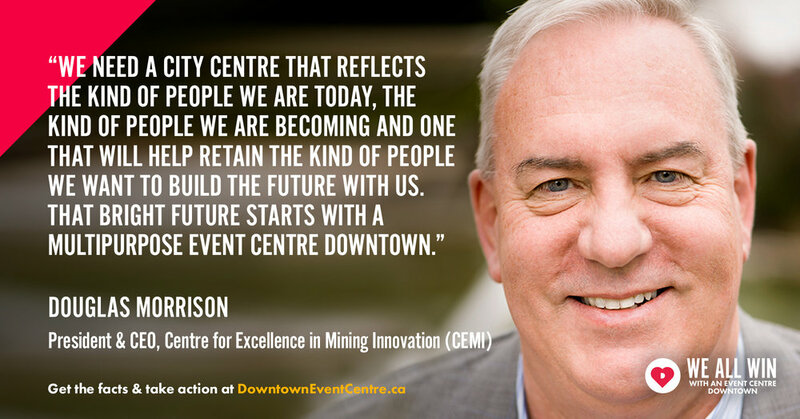 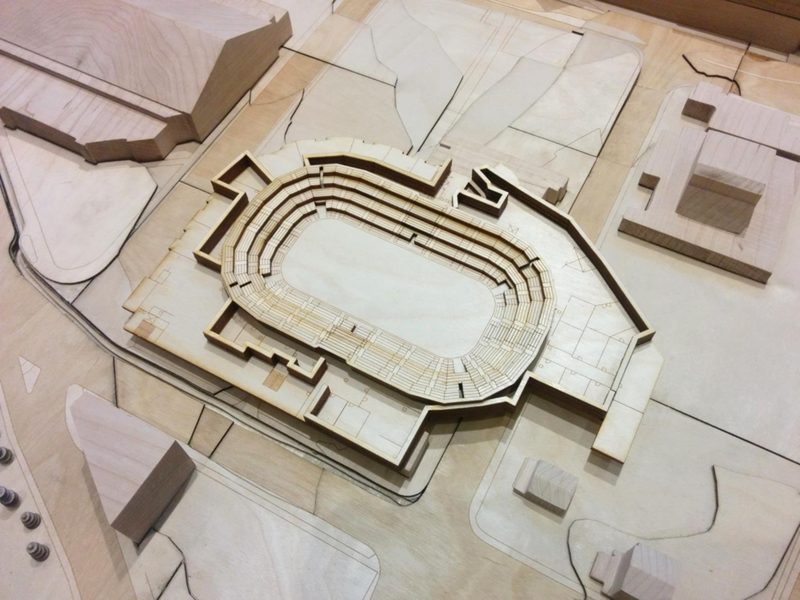 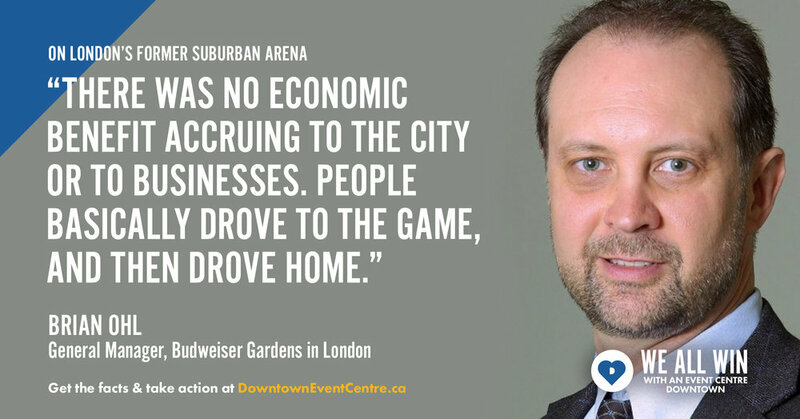 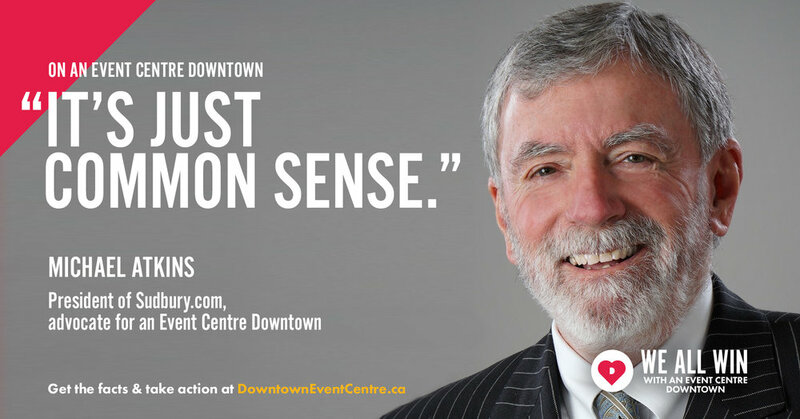 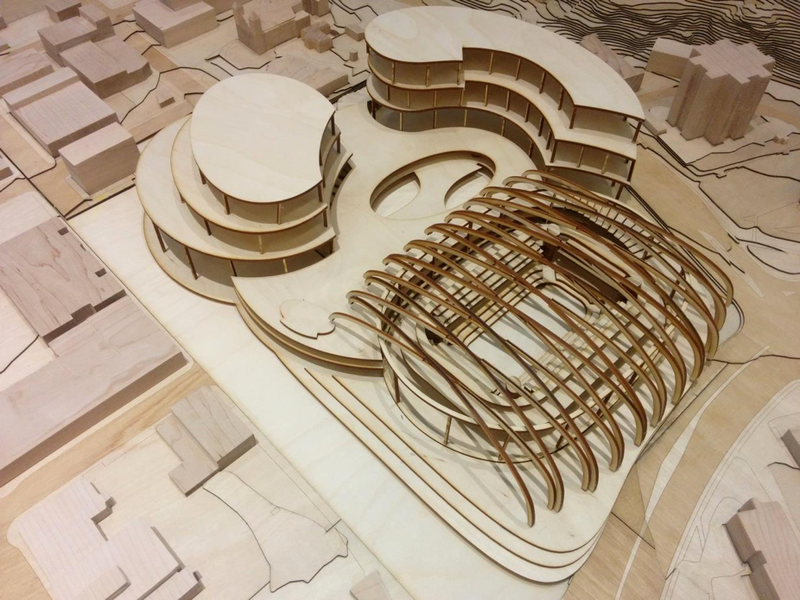 It's time to clear up some misinformation and get the facts out about why Downtown is the best location for our new Event Centre. 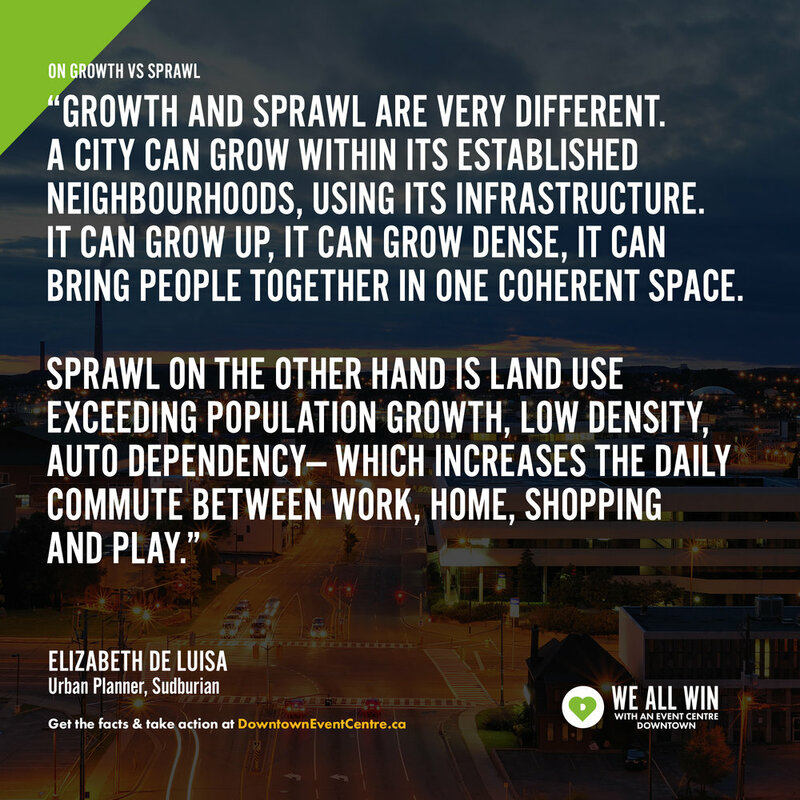 Feel free to save these images and use them in comment threads on social media to help us engage citizens in a well informed public discourse around these important issues. 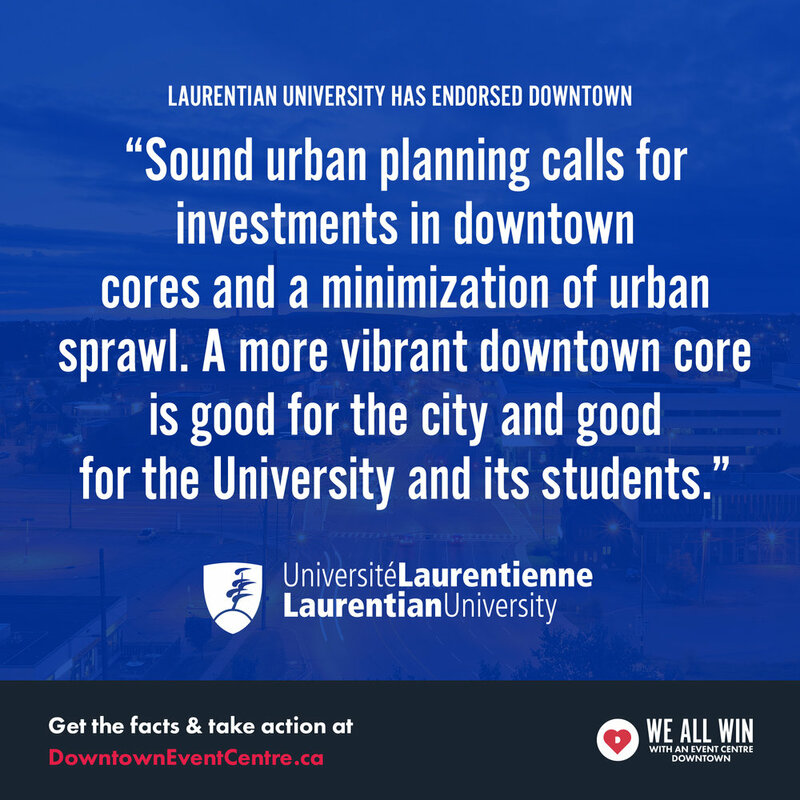 Below, we've also compiled a list of some of the endorsements and support letters that we've received. 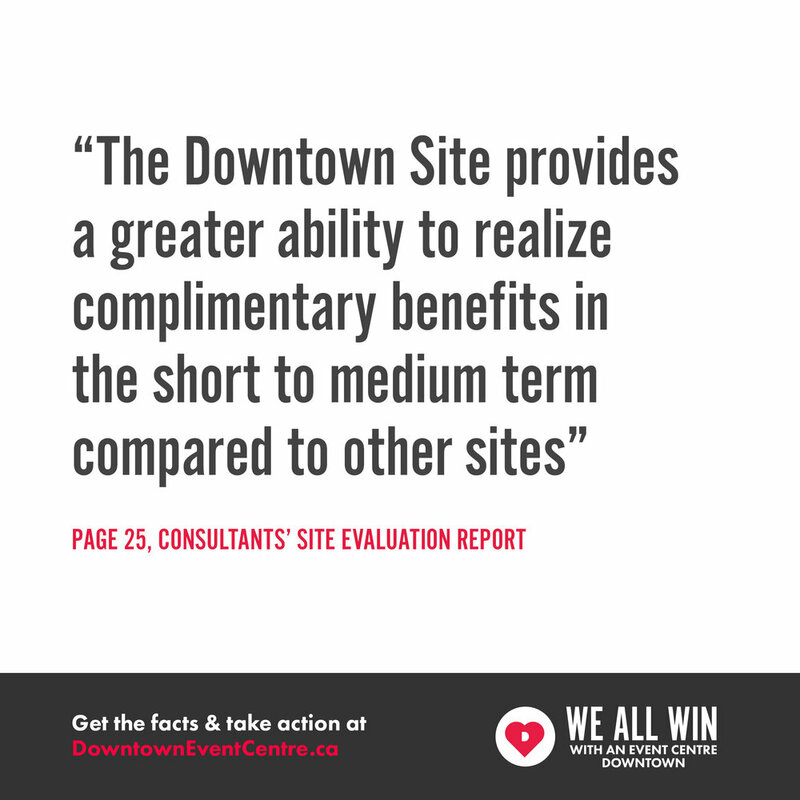 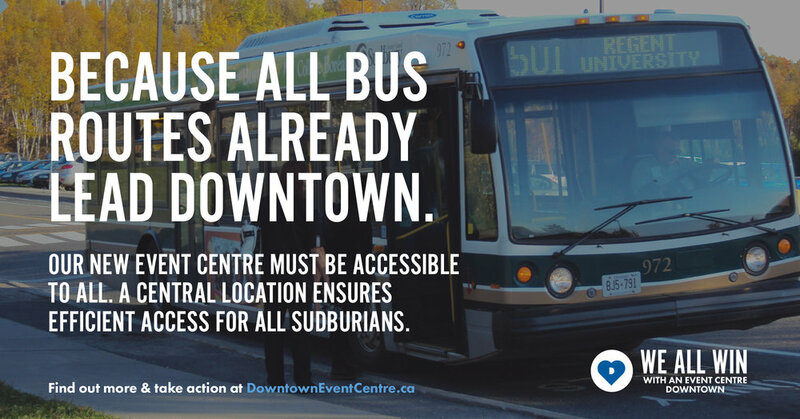 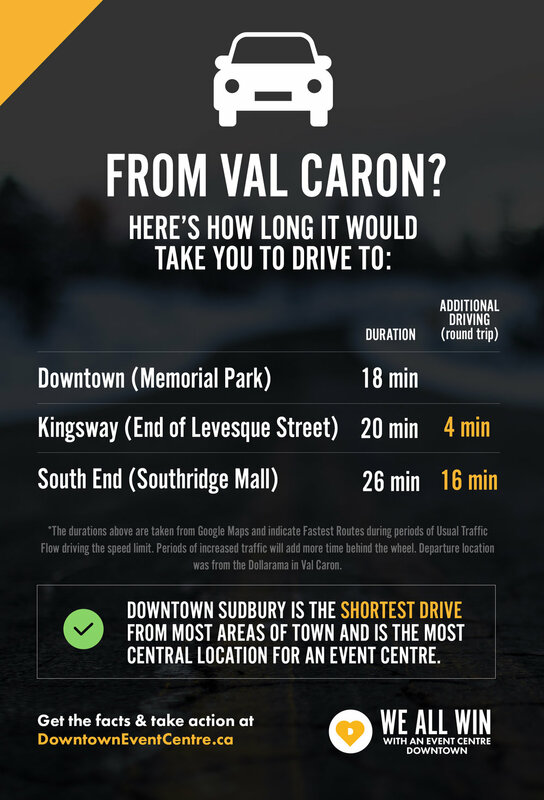 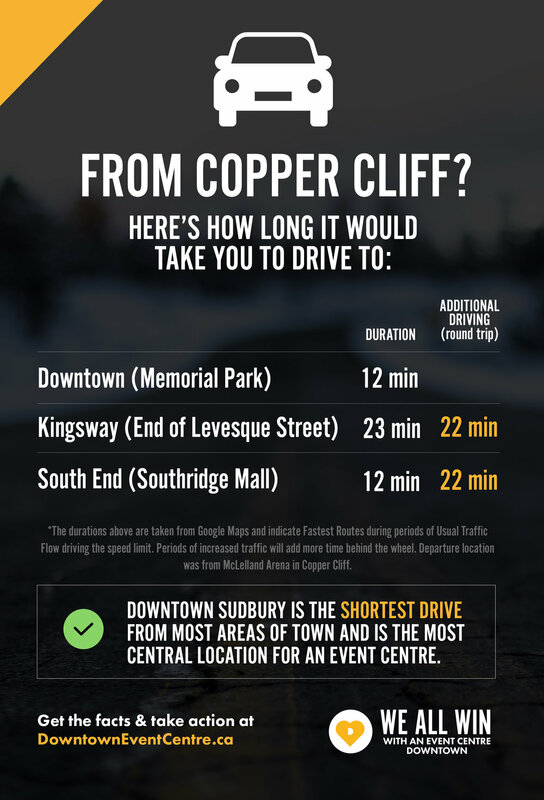 Finally, we've created a quick fact sheet that adresses a lot of the facts surrounding a downtown location. 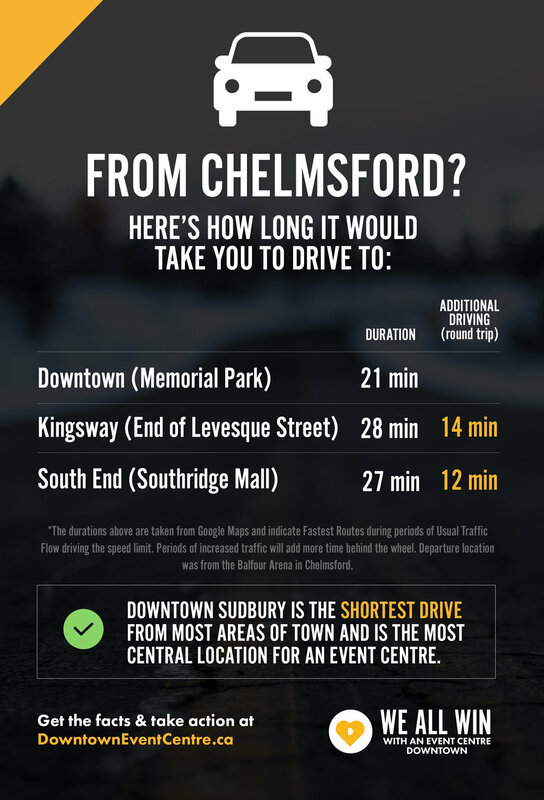 Feel free to print off some copies, knock on doors and spread the facts. 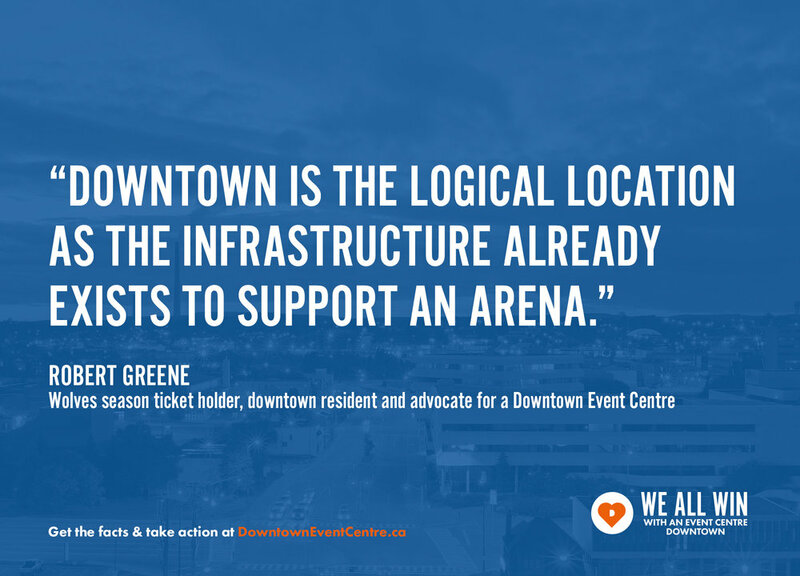 Want to give your endorsement or show your support? 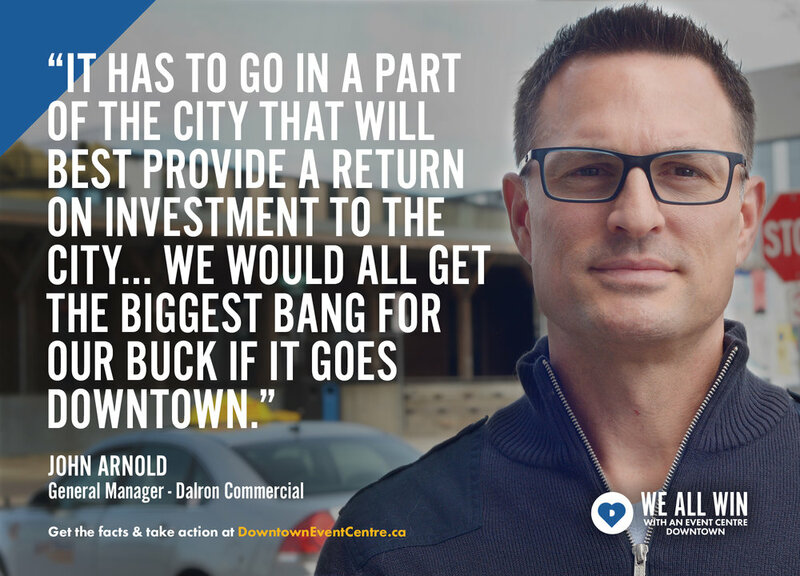 Contact your city councillor, put up a lawn sign or write a letter to the editor.